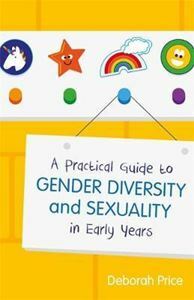 Aiding discussion of gender diversity and sexuality with very young children, this practical guide helps practitioners explore these themes in early years settings. Promoting and extending current good practice, the book offers advice and activities that will support children in discovering their identity and also demonstrates how to work with parents. This guide presents a background to gender theory alongside examples and case studies, showing that activities and settings can work together for children to recognise their full potential in a supportive environment. This book addresses a wide variety of topics such as staff training and team management, how to support and promote men working in childcare, transgender issues and ways practice can be challenged, to give those working with young children a great foundation for teaching about diversity. Proposing aims that early years practitioners can work towards and providing practical ideas to take directly in to the workplace, this hands-on guide sets out to create and encourage outstanding practice for all professionals teaching young children.